When you travel by charter bus, you get a unique social experience that you can’t quite get anywhere else. 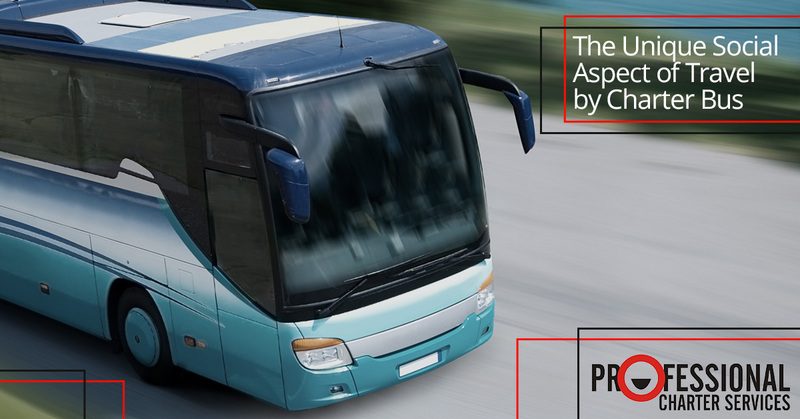 In this age of social media interactions, a trip by charter bus can be a refreshing change from the ordinary. In this blog from our charter bus company in San Francisco, we’d like to look at a few of the ways that traveling by charter bus can be a positive experience. When you travel by charter bus, you’ll always know the extroverts in the group. They’re the ones who are the life of the party, who make the whole trip more fun just because they are there, and who are constantly switching seats to talk to a new group of people. Extroverts love a charter bus trip because there is so much opportunity to draw people out, laugh and talk, invent games to play, and just enjoy being with people. Just as much as it’s true that the extroverts in the crowd can thrive and find stimulation in the trip, the introverts can enjoy the trip, too. If the loud, boisterous style of the extroverts is too rambunctious for you, you have the advantage that the high seat backs can protect you and even allow you to hide from the overwhelming parts. Find a seat in the back corner, curl up with your book or your journal or your sketchbook, and let the extroverts do their thing while you lose yourself in the world that makes you perfectly happy. In this digital world, it’s easy to communicate with people in a fake, masked style that shows only the Pinterest-worthy version of ourselves. And even if you’re one of the authentic, transparent ones, the people around you don’t always follow your example. There’s nothing like the chance to sit down with someone on a charter bus and have a deeper conversation. The length of the trip will allow you to explore a lot of different topics, so sharpen your question-asking and listening skills, and be prepared for the novelty of face-to-face communication. You’ll discover that a live human being is a delightfully unpredictable thing, as the answer you expect to hear when you ask a question is not always what you get. This exchange of ideas can stimulate creative thoughts that might lead you to solutions that you would never have thought of. Unlike riding a public transportation bus or being on an airplane, when you travel by charter bus, it’s quite possible that you know many or most of the people on the bus. If you’re anything like us, you find it uncomfortable to have prolonged interactions with strangers. Being on a charter bus often spares you from that uncomfortable bit while still bringing to the table all the benefits and awesome parts of the social interaction. It’s easy and affordable to rent a charter bus to transport your group to your destination and back, but it’s priceless to foster all the social connections your group will make with each other on the trip. Get your quote today.